For me, a wedding is such a wonderful time to share your relationship, your love, and your values with your closest friends and family. The people we tend to invite to our weddings know us from such different contexts--college, work, elementary school, summer programs, etc. A wedding is a time to synthesize those various parts and show our nearest and dearest how they have contributed to our development as people. Matt and I tried to share our love of the outdoors by getting married by a lake and hosting our wedding weekend in the middle of the mountains. We tried to share our commitment to eco-friendliness by setting up composting during the reception, having our rings made from recycled gold from our friends and family, planting a tree during our ceremony, making Matt's tie and my dress sash from reused fabric we had at the house, reducing our invitations to a postcard and sending electronic Save-the-Dates, making my bouquet from wild flowers growing around the B&B where we were staying, making a wedding quilt from reused fabric from our guests, using cloth napkins, giving out seed packets as wedding favors, etc. We tried to share our commitment to community by asking guests to upload a picture and a brief message to our wedding website so people could start to get to know each other in advance, by inviting everyone to our Friday Welcome Picnic instead of having a rehearsal dinner, by making invidividualized nametags for each guests with a few interesting things about them, by writing each guest a personalized message on their invitations, by asking people to take on a small job to help make the wedding happen, by intentionally keeping our wedding smaller so that people could really get to know each other and we would have more opportunity for authentic conversation with everyone, etc. 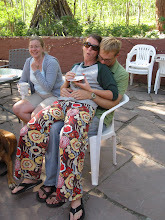 We tried to share our appreciation for fun by hosting our wedding at a location that gave people the option to boogie down on the dance floor, play board games, relax in the hot tub, tell stories and cook S'mores around the campfire, play volleyball or horseshoes, or just sit on the deck and relax. We also choreographed a surprising (and hopefully humorous) first dance that involved our entire wedding party. 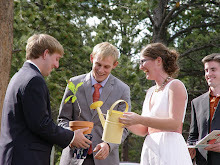 Our wedding ceremony and our vows incorporated both serious and humorous elements. Another value we have is making the world better. I wish I had known about the I Do Foundation before we got married. It would have been another way to share our values with our friends and family through the gift registry. "By incorporating a charitable focus into life celebrations," the I Do Foundation is trying to "help families establish a pattern of giving that will last a lifetime." Couples can register at Target, REI, and Cooking.com through the site. The organization has a deal with the three stores and each of them will donate between 5% and 10% of your guests' gift purchases to the charity of your choice at no additional costs to your guests. Has anyone used the I Do Foundation to register? I would love to hear both positive and negative feedback. Ahhhh. This is exactly the type of posting that I needed after my recent bout of anger over invitations. Thank you Sara! Does anyone know of a similar foundation in Canada? Target does not ship to Canada...and I am also a bit leary about buying from them, at least for things that are going to last a lifetime. Hmmm. 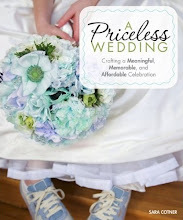 What a great way to incorporate community into your own wedding... I've heard bad things about target, but the other two stores, i'd gladly register with ... especially now knowing they are hooked up with this organization! I thought about registering with the I Do Foundation, but ended up deciding that the amount of money that would be donated didn't offset the amount of money going to large stores I don't particularly support. It'd probably work better for people putting more big ticket items on their registries, but since most of the stuff we were looking at was more in the $5-$50 range, we probably wouldn't have ended up with a hundred dollars or so donated from the registry. Instead, we started a registry at Alternative Gift Registry and listed items from local stores as well as direct donations. 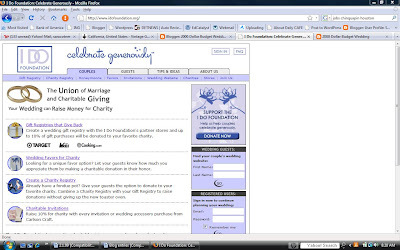 You can also set up donations to a charity through weddingchannel.com if you are registered at any of the stores that weddingchannel is partners with. It's the same sort of deal where some percentage of what's purchased off the registry is donated to the charity of your choice (from their preselected charities...but there's a good selection). I was already registered with one of their partners, so it was a bonus when I found out you could attach a charity to that as well. Hi Sara, I was wondering what web service you used to set up the online guestbook where guests could upload a picture and message. I love the idea, but haven't had any luck actually finding an online guestbook with images that works! 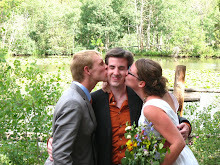 @ AZ: We used www.slide.com to create the guestbook. Let's you ad things from any site.. so amazon and target and itunes.. anywhere.. and you can set up a cash fun for a honeymoon or something. You can RSVP and do all your seating arrangements and advice from this site. Along with a wedding site. It sounds like you had a wonderful, eco-friendly, fun-filled wedding. It's great that you were able to share your values and commitment to one another in front of your closest family and friends. My number one tip for any couple looking to go the eco-friendly wedding route, is to create a wedding website. It eliminates the need for all the paper and waste. Great post. I hope the two of you have a long, happy life together. I don't see another place to leave this comment so I'll do it here. 1)We had to have a registry. 2)We could not say anything about cash. Period. 4)It could not be mentioned anywhere but word of mouth. Period. We actually did quite well with a WishCentral list. Unlike other registry services they do not charge a fee to you or your guests. We were able to 'register' items from anywhere, including just vague wishes from no place in particular. Indeed one wish was for nice wine glasses with colored stems for fun and clear glass to see the wine. My relatives had these custom made by a local artisan - something we never could have managed otherwise. We registered for a recycled bicycle chainring clock handmade by an artisan in Oregon. Stuff like that. My sister did BB&B and HomeDepot. She refers to what she got as her "wedding crap". I don't feel that way about my gifts. Because it was word of mouth, more tech-savy relatives helped the less experienced. I only got positive feedback over the whole experience.